One of my absolute favourite luxury companies is Jo Malone. I'm just totally in love with everything - the scents, the stores, the branding, and possibly most of all with the free arm and hand massages they lavish on anyone who walks through their doors. Yes, you read that correctly, Jo Malone boutiques give free hand and arm massages - and chocolates!!! And even better - the lovely Stylists don't give you the hard sell while you're blissed out over their counter! 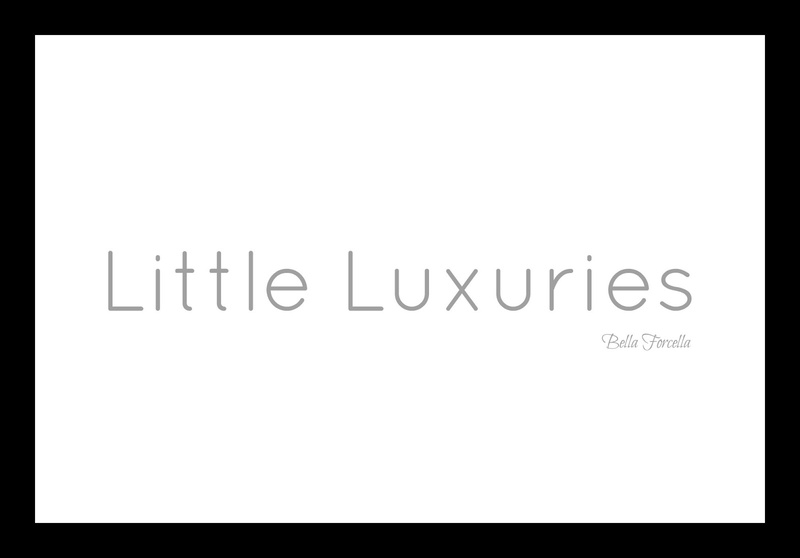 I recently received an invitation through the post for a special edition hand & arm massage, showcasing a couple of new products - Geranium & Walnut Body Scrub and the new range of shower oils - and decided that me and my littlest sister deserved a bit of a treat! 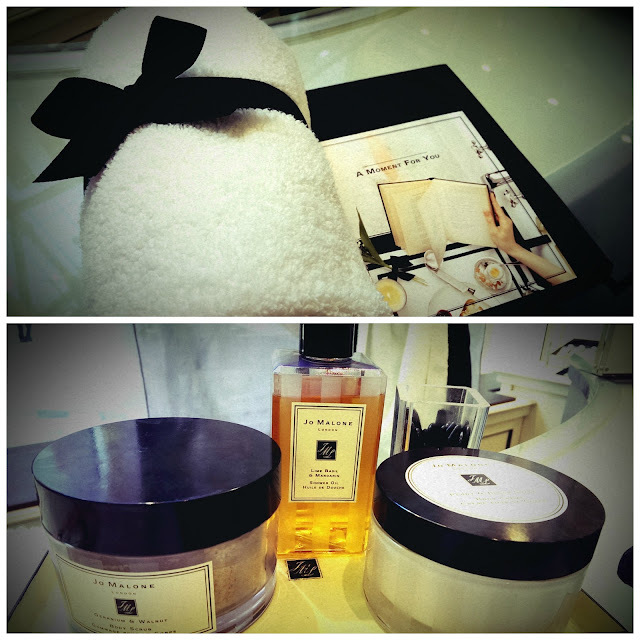 We booked ourselves in for the massage at the gorgeous Jo Malone Boutique in Leeds' Victoria Quarter. Whilst you don't have to wait to receive an "invitation" it's a good idea to book in advance as whilst the boutiques always offer the free hand & arm massage service, the slots do get booked up. Our stylist introduced three scents to us - Lime, Basil & Mandarin, Blackberry & Bay and Peony & Blush Suede - and we were asked to select our favourite and then second favourite, so that the stylist could include Jo Malone's famous "Fragrance Combining" in the treatment. Catriona and I both chose Blackberry & Bay as our favourite and Lime, Basil & Mandarin (the scent which our mum wears!) as our second favourite. This is where the details become a little hazy because as soon as the stylist started the treatment I pretty much zoned out, but from what I remember it started with the body scrub which was then washed off with Blackberry & Bay shower oil, followed by a massage with a body crème in the same scent and completed with a spritz of Lime, Basil & Mandarin cologne. 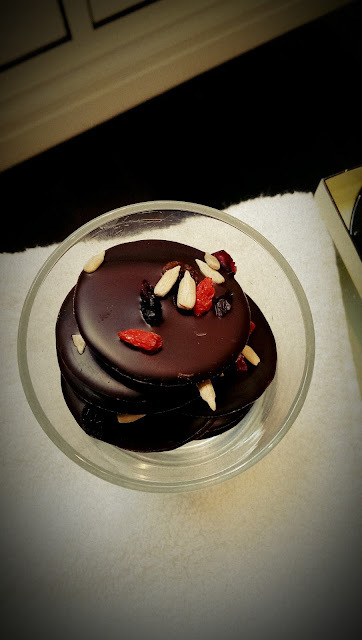 As if that weren't enough, to top it off we were also given a delicious chocolate disc from award winning London chocolatier, Rococo. As I mentioned earlier, there is absolutely no pressure to buy anything either during or after the massage, however after having such a delightful experience it's pretty dangerous to be let loose into the boutique and I couldn't resist getting myself one of the new shower oils to take home with me. 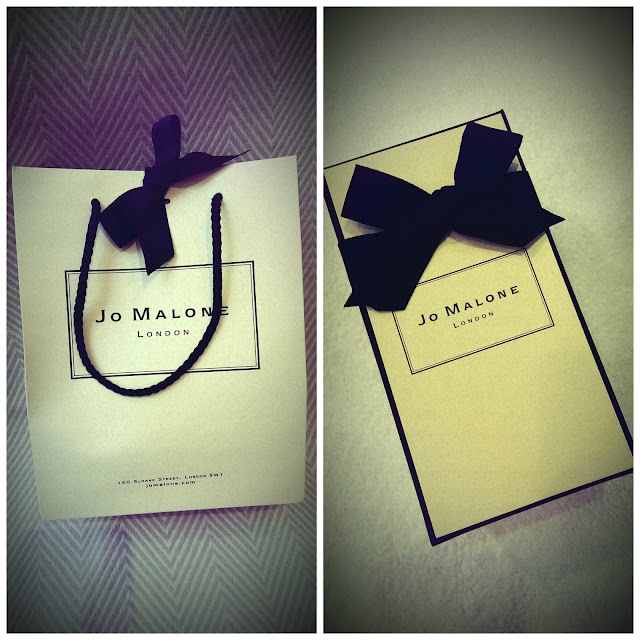 I just love the packaging of Jo Malone products - the bag, tissue, box and ribbon are all so luxurious and make the purchase feel really special. They don't go to waste, either - I reuse the ribbon and tissue paper when I'm giving my own gifts and the boxes are really useful for storing things in (Mr. Forcella's lesser worn cuff-links live in one!). Jo Malone products are pricey, however even if your budget can't stretch to buying yourself something, there's no reason why you shouldn't indulge yourself with a free hand & arm massage and while you're there add a few things to your "wish list"!